This event is a special presentation in an effort to build awareness and fight against poverty. 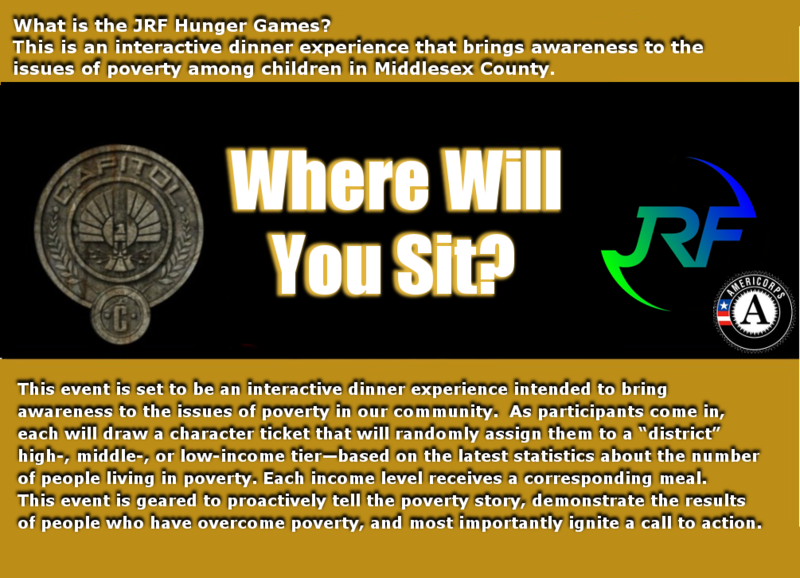 The Jewish Renaissance Foundation will present an interactive dinner experience that will identify the issues of poverty in Middlesex County, focusing on families who struggle with poverty and community leaders who are taking action to fight it. We personally invite the youth between the ages of 13-18 years old to our 2nd annual poverty simulation, scheduled May 21st, from 5pm-7pm at the Knights of Columbus, located on 228 High Street, in Perth Amboy, NJ. 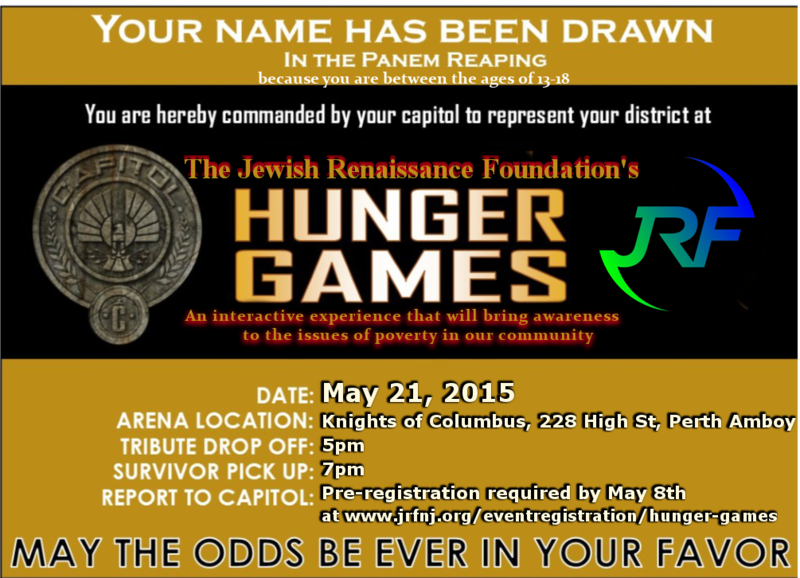 This year’s theme is Hunger Games and invites the high school-aged population of Perth Amboy to participate. Pre-registration is required for this event. Registration deadline is May 8, 2015. 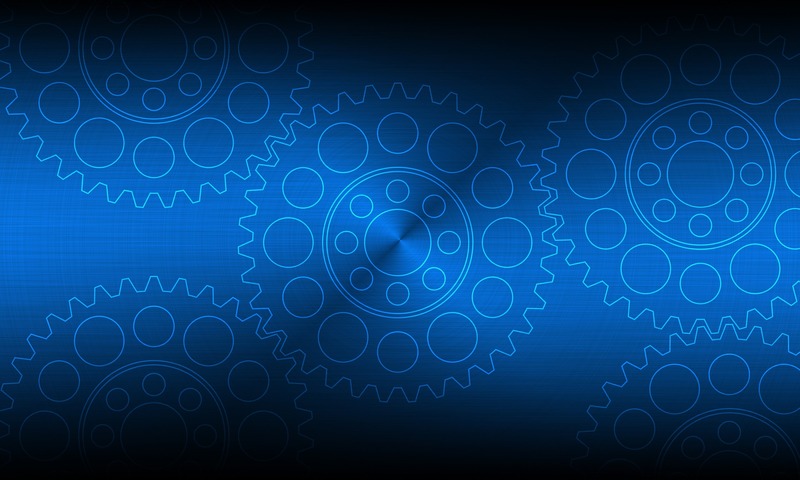 You will leave with a greater understanding of poverty in your community and identify steps, through focus groups, on what you can do to specifically help.